With the arrival of that time, potential buyers are now ready to move off the sidelines,mortgage preapproval letters(link is external) in hand, for the chance to find their dream home(link is external). Housing inventory has been tight the last couple of years, which means more competition among buyers, especially during these busy months. Make sure the lawn is mowed and the house numbers are visible and attractive. You can get inexpensive new ones at any home improvement store. Try power-washing the exterior of the home or putting on a fresh coat of paint to brighten it up. Make a home more inviting by adding some flowers or other plants. If the home has a patio, add some cozy furniture to show buyers the space’s outdoor entertaining potential. 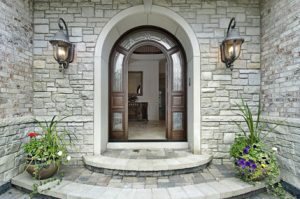 Add great outdoor lighting, because people will be cruising by your listing at all hours of the day and night. In some cases, you may find that a few larger external remodeling projects can really raise a home’s resale value, according to a report on remodeling impacts by the National Association of REALTORS®. In the kitchen, try a fresh coat of paint, new handles on kitchen cupboards or applying a new tile backsplash. Take a hard look at your closets to see if they would benefit from extra shelves or additional organizing help. These upgrades make a home feel like it has been updated and help would-be buyers see potential. Before buying new interior fixtures and materials, see what you can fix. Sure, new hardwood flooring would be great, but so would refinishing the wood flooring you’ve already got (and likely for a lot less money). In fact, a hardwood flooring refinish typically costs about $2,500, and a seller recoups an estimated 100% of that cost upon resale. Pay a little attention to your roof. Wash it, clear it of any debris and take care of any small problem spots. If it’s beyond small repair, you may have to replace the entire thing. The typical cost of a new roof is about $7,600; however, for that cost, you’re likely to get $8,000 for the project upon resale, a return of 105%. Clean out the gutters to make them look nicer and more functional. After all, potential buyers will be looking at your home in all sorts of weather, and they’ll want to see that your water drainage system works. Above all, make sure the major problems are addressed. Even if a potential buyer doesn’t notice, a home inspector probably will, meaning your sale could fall through further down the line. You not only could lose that buyer, but you’ll end up having to fix them anyway. Tom Salomone(link is external) is president of the National Association of Realtors®.